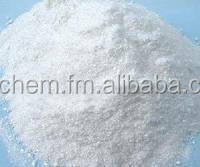 Sodium Aluminate is most widely used in municipal drinking water and waste water treatment systems. As an alkali, Sodium Aluminate can work in applications where the addition of an caustic is not desirable. It provides an economical source of highly reactive alumina. Solid/Liquid sodium aluminate is becoming an increasingly popular choice for the removal of phosphorus in municipal and industrial wastewater plants. As discharge limits for nitrogen and phosphorus become more stringent, many plants are implementing both biological and chemical treatment systems for their reduction. However, both these treatment processes can deplete the available alkalinity and depress effluent pH below discharge limits.